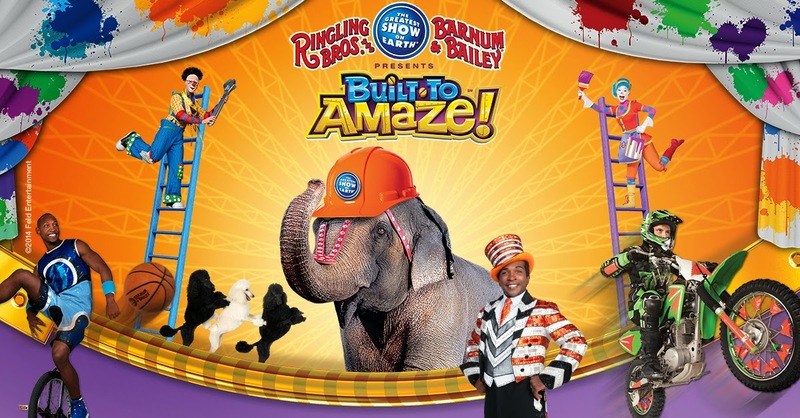 Ringling Bros Barnum & Bailey Presents Built to Amaze! Once again this year my family was able to attend and be amazed by all the performers at Ringling Bros Barnum & Bailey Presents Built to Amaze! All 3 of my kids always get very excited when we start seeing the commercials on tv(mommy and daddy too)-so you can only imagine how happy they were when I said we were going. This year was extra special because both of my son were called on stage to preform in the circus! It was so fun watching them both center stage, I laughed till I cried. There is truly nothing in the world like seeing the circus through the eyes of a child. The circus is full of wonder and delight and this year did not disappoint! We had a great time full of many oh's and ah's! This years show spotlighted clowns, Wheels of steel, horses, dogs, The King Charles Troupe, the high wire act and much much more. 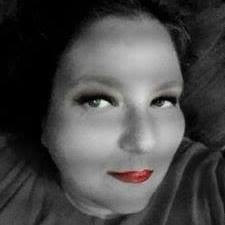 Andre McClain does a wonderful job of taking us along for the ride on this wonderful journey that is the circus. Bravo to the grand performers and staff alike for bringing talents from all around the world for the enchantment of all! It was a colorful show packed with adventure, amazement and fun! It truly was Built to Amaze, and amaze it did! You can truly see how much all the trainers cared for and loved the animals! They are currently doing grand work via the Ringling Bros. Center for Elephant Conservation. In the words of of my children: Wade age 7, "The circus was FUNtasic!" Sarah age 11 "The circus was Extraordinary!" Caide age 13, "The circus was funny and Hilarious!" Ringling Bros Barnum & Bailey is currently offering 3 shows depending on where you live. 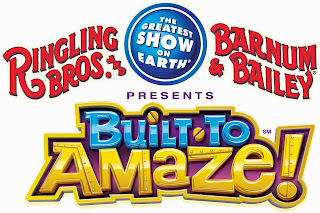 My family HGHLY recommend attending the Ringling Bros Barnum & Bailey Presents Built to Amaze show. It is good, clean fun that the entire family can enjoy. Go to Ringling Bros Barnum & Bailey today to find out when the circus will be in a city near you and to get tickets today. 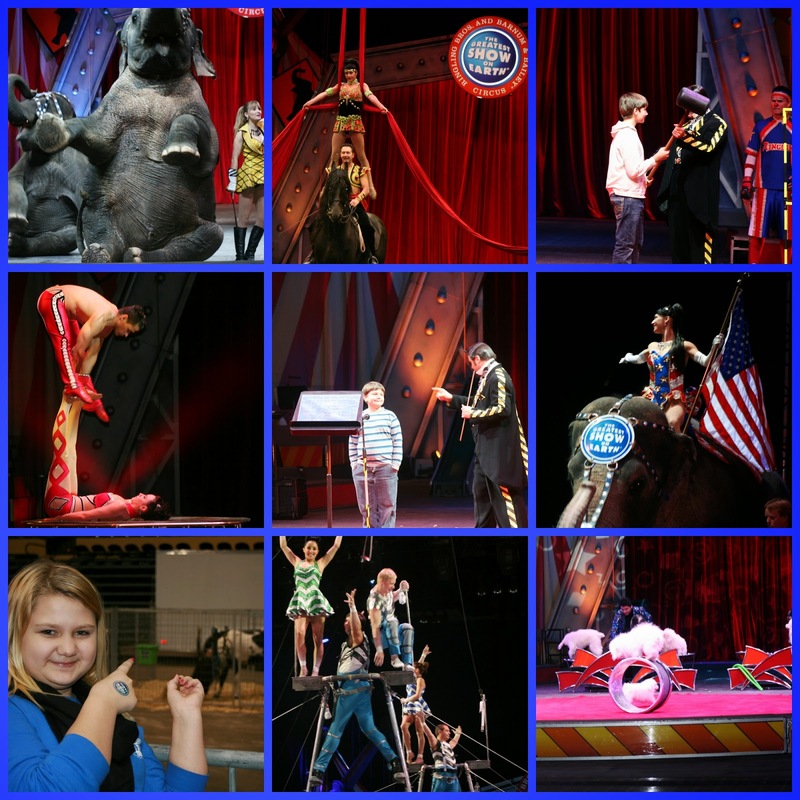 Thanks so much to all the performers at the Ringling Bros Barnum & Bailey Presents Built to Amaze for am AMAZING SHOW! Ringling Bros. and Barnum & Bailey® Presents Built To Amaze!℠. 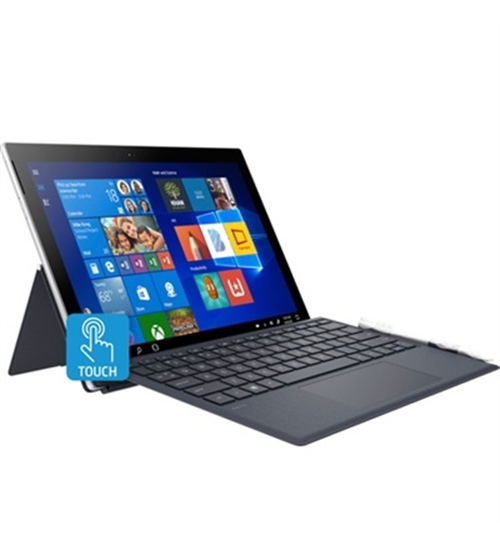 Experience all the things you know and love and be amazed by things you’ve never seen before! Witness superhuman stunts so close, you can FEEL it! Astonishing performers, awe-inspiring athletes and amazing animals from around the globe have been assembled in one place providing a riveting display of unimaginable proportions that are Engineered for Excitement and Custom Built for Family Fun! Get your tickets today!